When our group of friends rented a house together for a skiing & snowboarding weekend in Vermont, everyone decided to bring their own snacks, which somehow became BYOS (Bring Your Own Salsa). Even after the weekend’s junk food fest, Natalya and I still ended up with a stockpile of salsa to take home (we never want to waste anything!). 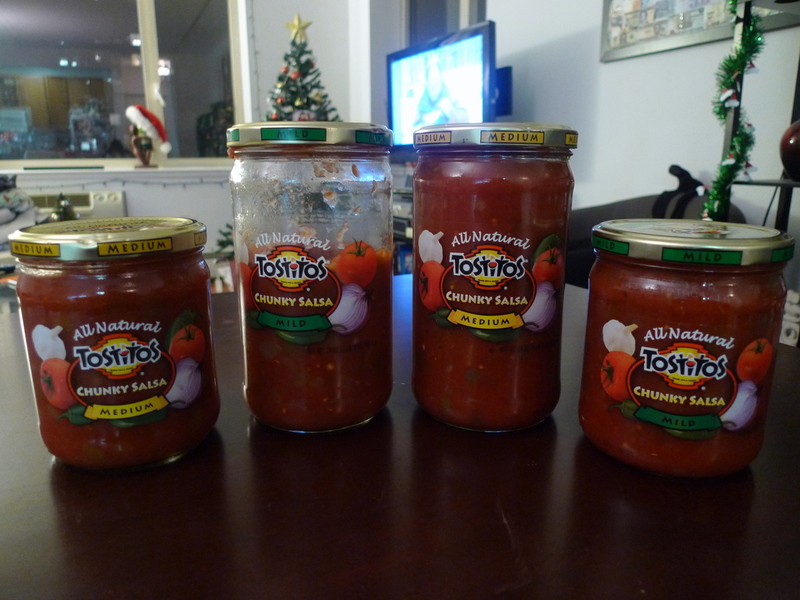 With about 80 oz of salsa in our refrigerator, we tried to brainstorm what we could do with them. We debated having a taco fiesta with some Tequila Lime Shrimp Tacos or making a hearty Layered Chicken Enchilada Casserole; however, we both wanted something lighter and healthier after our junk food weekend. I thought salsa might work as an alternative to a tomato soup base and found a recipe online for a Vegetable Salsa Soup. It basically uses 1 jar of salsa and 6 jars of broth to create a super easy and tasty soup base. Then, you can pretty much add any vegetables you desire! I love having a high “stuff” to soup ratio and so I ended up putting in twice the amount of suggested vegetables. I think pretty much ANY vegetable will go with this soup, and that is what make this recipe so customizable and simple to make. 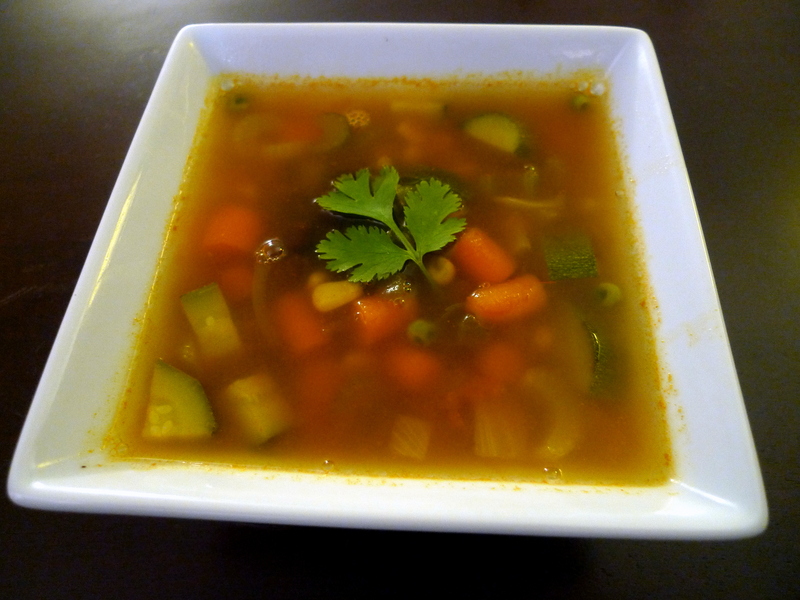 Vegetables I have tried in the soup include: carrots, celery, onion, zucchini, corn, peas and even some black beans. Boiled, cubed chicken or noodles could also work great. This is pretty much a foolproof recipe and perfect for the winter! 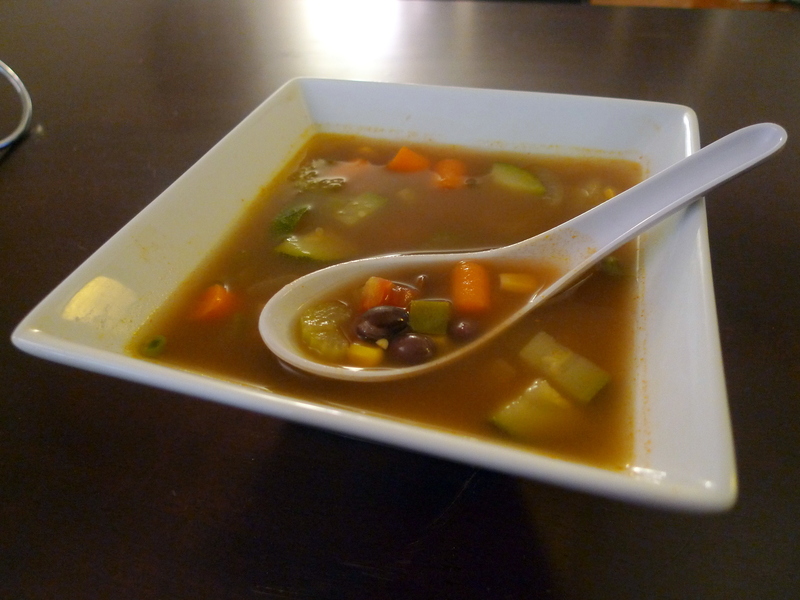 In a large pot (if you are a big “stuff” person, you are going to want a BIG pot) over medium high heat, combine the broth, salsa, carrots, celery, zucchini, corn, and black beans. Simmer together for 20 minutes, or until vegetables are tender. Ah! I could go for a bowl of this right now!